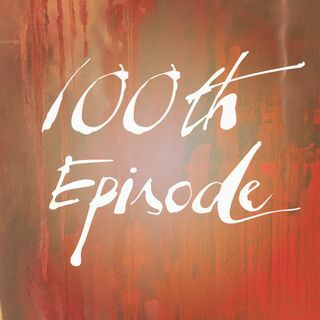 Today we arrive on the shores of our One Hundredth Wild Soul Medicine Episode. I can hardly fathom the depth and breadth of the journey we have been on these last 2+ years together. From the first tremulous transmission, to epic betrayals, potentially career-ending risks, and the most intimate sharing of my fears, inquiries, and breakthroughs -- The pain, triumph, and intensity of a life devoted to spiritual transformation has been honored and celebrated here. Always an ... See More invitation for you, Dear One, to come closer to the fire of your own Becoming. To stand together in the crucible of Untaming as we bolster our courage to grieve, fight, play, and love another day. So today, we Celebrate. And Honor. And Reflect. Whatever else Spirit compels me to reveal! Annnnnnd…. a special surprise guest will be joining me. I still can’t believe he said yes, as he is definitely happiest as a Behind the Scenes guy, but I have talked my dear husband, Lance, into Being with Us on the show today. Every single week he is holding the edges of this container. Witnessing, grounding, and bringing the Divine Masculine to this Wild Soul party. He is coming today to lend his perspective on the Medicine he has experienced from the inside of this Unfolding. I adore this man and couldn’t do what I do without him. I am delighted to finally get to share him with all of you. Our drum beat calls Us to circle at 9:00 am PT/Noon ET today. Adorn your Wild Soul in Essence and Join Us there. Ai yi yi yi yi yi YAH! P.S. Invite your Sisters to share in the celebration. Like, Comment, and Share this post for a chance to be gifted the entire Soulful Money Medicine course.